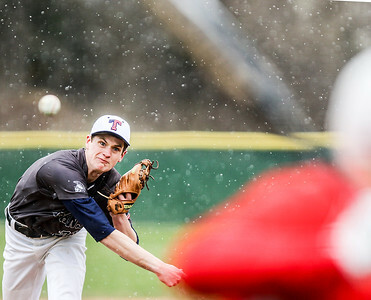 Sarah Nader- snader@shawmedia.com Cary-Grove's Benjamin Dolezal pitches during Monday's game against Marian Central in Cary April 4, 2016. 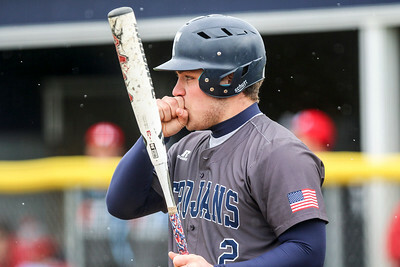 Cary-Grove defeated Marian Central, 12-5. 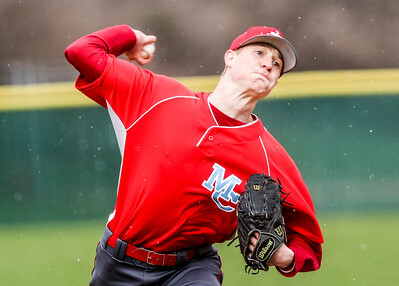 Sarah Nader- snader@shawmedia.com Marian Central's James Raffauf pitches during Monday's game against Cary-Grove in Cary April 4, 2016. 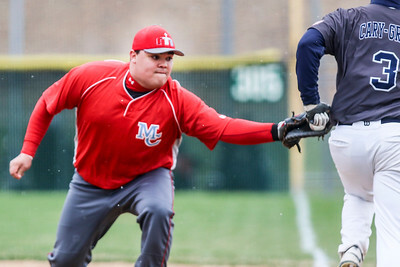 Cary-Grove defeated Marian Central, 12-5. 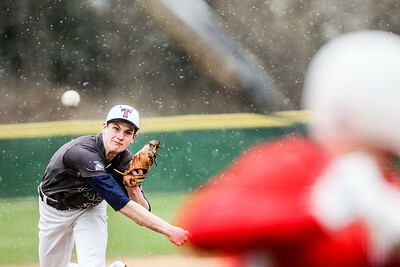 Sarah Nader- snader@shawmedia.com Cary-Grove's Benjamin Levicki shoots towards second base during the second inning of Monday's game against Marian Central in Cary April 4, 2016. Cary-Grove defeated Marian Central, 12-5. 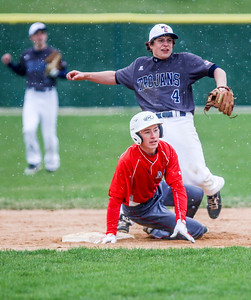 Sarah Nader- snader@shawmedia.com Cary-Grove's Benjamin Levicki safely slides back to first while Marian Central's Dan Rochotte waits for the ball during the second inning of Monday's game in Cary April 4, 2016. 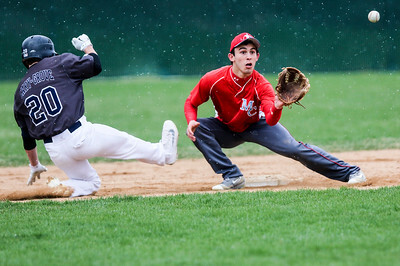 Cary-Grove defeated Marian Central, 12-5. 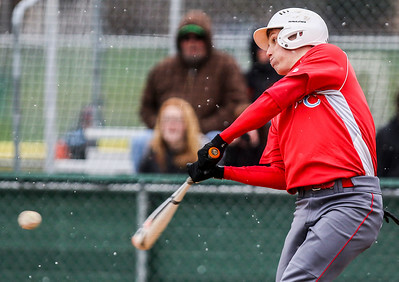 Sarah Nader- snader@shawmedia.com Cary-Grove's Tyler Pennington warms his hands before batting during Monday's game against Marian Central in Cary April 4, 2016. 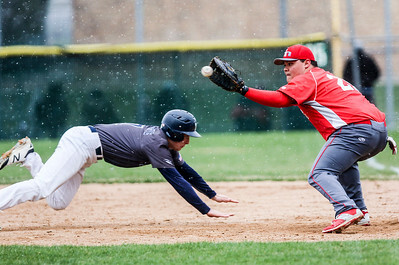 Cary-Grove defeated Marian Central, 12-5. Sarah Nader- snader@shawmedia.com Cary-Grove's Benjamin Levicki (left) runs to second while Marian Central's Jack Schneider throws to first during the second inning of Monday's game in Cary April 4, 2016. Cary-Grove defeated Marian Central, 12-5. Sarah Nader- snader@shawmedia.com Cary-Grove's Collin Walsh (left) slides back to second while Marian Central's Elias Edmondson waits for the ball during the second inning of Monday's game in Cary April 4, 2016. 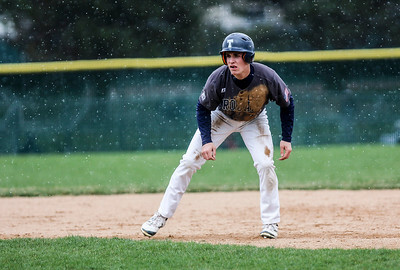 Cary-Grove defeated Marian Central, 12-5. Sarah Nader- snader@shawmedia.com Marian Central's Bobby Bannon is out at second by Cary-Grove's Dominic Calamari during the first inning of Monday's game in Cary April 4, 2016. Cary-Grove defeated Marian Central, 12-5. Sarah Nader- snader@shawmedia.com Marian Central's Dan Rochotte tags out Cary-Grove's Dallas McDonough at first during the third inning of Monday's game in Cary April 4, 2016. Cary-Grove defeated Marian Central, 12-5. 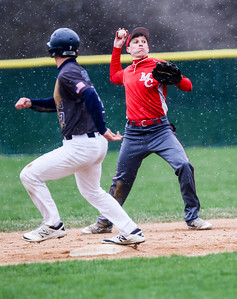 Sarah Nader- snader@shawmedia.com Marian Central's Jack Schneider makes contact with the ball at Monday's game against Cary-Grove in Cary April 4, 2016. Cary-Grove defeated Marian Central, 12-5. Sarah Nader- snader@shawmedia.com Marian Central's Zach Teegen (left) safely slides back to first while Cary-Grove's Dallas McDonough waits for the ball during the fourth inning of Monday's game in Cary April 4, 2016. Cary-Grove defeated Marian Central, 12-5. 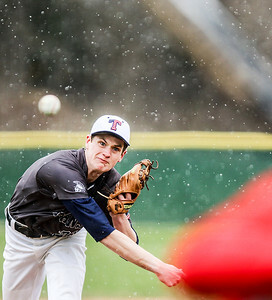 Cary-Grove's Benjamin Dolezal pitches during Monday's game against Marian Central in Cary April 4, 2016. 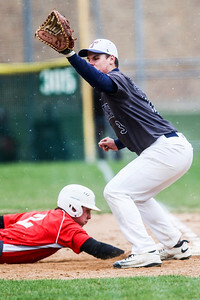 Cary-Grove defeated Marian Central, 12-5.